Sure, a day following the Freedom Trail is all in good fun, but what about the picture-worthy alleyways and architectural anomalies? The lobster-roll-and-clam-chowder-serving hole-in-the-walls? The best way to truly see a city, is to see what’s hidden under the surface of your typical tourist spots, and the people you might meet along the way make it all the sweeter. Count on places like Bova’s in the North End, a little piece of Italy, and the Boston Athenaeum, heaven for bookish friends, included in the list below along with everything you’ll need to know. From lesser known attractions to parks squeezed in between city blocks and shacks serving up the most underrated local cuisine, here are some of Boston’s best hidden gems you won’t want to miss. Located at the Mary Eddy Baker Library, and at the apex of the Christian Science Plaza, this world-famous, three-story, stained-glass globe is quite the site to see. Constructed in 1934 by Boston architect Chester Lindsay Churchill, the globe was inspired by a similar structure set on a revolving axis in the lobby of the New York Daily News. Churchill’s patron, Mary Eddy Baker, the founder of Christian Science and Pulitzer Prize-winning Christian Science Monitor, espoused objective reporting and transparency in the media in contrast with tabloid sensationalism popular at the time. To complement Eddy’s mission, Churchill built his significantly larger globe out of glass giving viewers the opportunity to see the world from inside. His crew spent a year hand-tracing sections of a 1934 Rand McNally world map onto thick kiln-fired glass panels imported from the Hope Glass Company in England and installed in a bronze frame, lit by hundreds of light bulbs. Admission, including a tour and a new LED light and music show, is $6. The Mapparium is open seven days a week, from 10 a.m. to 5 p.m. Taking a self-guided tour of the Boston Public Library and its many twisting staircases is a must for anyone visiting the city and a frequent occasion for many Boston residents, but what about the library’s lesser known big sister? Founded in 1807, almost 50 years earlier than the BPL, the Boston Athenaeum is one of the oldest and most distinguished independent libraries and cultural institutions in the United States. Its collection holds over half a million volumes in everything ranging from Boston history to fine and decorative arts. The Beacon Street building overlooks the Granary Burying Grounds and its five galleried floors offer endless stacks of aged spines and rotating cultural exhibitions. Check out their calendar of free events as well, where you’ll find lectures for adults, storytime for kids, and book groups for both. Open to the public Tuesdays from 12 p.m. to 8 p.m. and Wednesday through Saturday from 10 a.m. to 4 p.m. Admission is $10 for ages 13 and up, free for members and children. How much do you really know about one of the inciting events of the American Revolution? 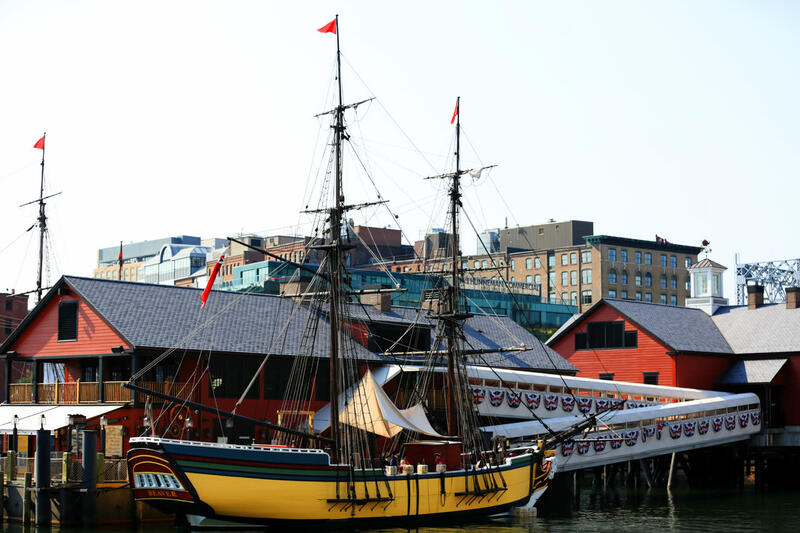 Travel back in time to the very harbor where the Boston Tea Party changed the course of our country’s history forever. This museum will tell you everything you need to know about Boston’s big claim to fame through historical interpreters, interactive exhibits, full-scale restored 18th century sailing vessels, and the award-winning multi-sensory documentary “Let It Begin Here.” Located on the Boston Harbor, a visit to this museum is sure to take you back to the time of loyalists and federalists. Tickets for adults are $29.95 and tickets for kids are $18, which isn’t cheap, but it does include getting to dump tea into the river yourself. Is it still a hidden gem if it’s cleverly hidden in plain sight? We think yes. Bodega looks on the surface to be just that, a bodega, when really it’s anything but. This high-end retail store is a Boston favorite you have to see to believe, even if you’re not in the market for fancy leather sneakers or expensive t-shirts. Located just down the street from the Mapparium, and on the corner of Berklee’s campus, you could even hit both in the same day. Bodega carries brands such as Yeezy, Adidas, and Comme De Garçon with prices ranging from a $25 to a couple of hundred, so don’t be alarmed if you pick up a hat and it costs you more than a nickel or dime. Open from 11 a.m. to 6 p.m. most days, and until 8 p.m. Thursday through Saturday, walk on in and don’t let the fake fruit and poly-filled shampoo bottles fool you, head straight for the automatic sliding door to the right and find the Narnia of a millenial generation. This is another one of those stumble-upon wonders squeezed in between those scenic brownstones and brick streets in Beacon Hill. Started in 1994 by Susan and Timothy Corcoran, this narrow shop began as a stamp and paper store but quickly evolved to include all things beautiful and useful. It’s one of those places where walking around and admiring the inventory makes the trip worth it. “Boston” scented candles, hedgehog microgreen kits, thinking putty, Japanese candy, unusual paper clips, and unique greeting cards are all among the goodies stacked in their floor-to-ceiling shelves. Many of the products are Boston or New England themed, making it the perfect destination for quirky memorabilia and gifts. Almost every tourism website and book will probably tell you the best place in Boston’s historic North End to get cannolis is Mike’s Pastry. And while they do serve up some top-notch pastries, another family-owned bakery just around the corner is offering up some tough competition. Bova’s Bakery has been in business for over 80 years and turns out hand-crafted, fresh Italian pastries 24 hours a day, seven days a week making it one of the only places in the whole city open all night. 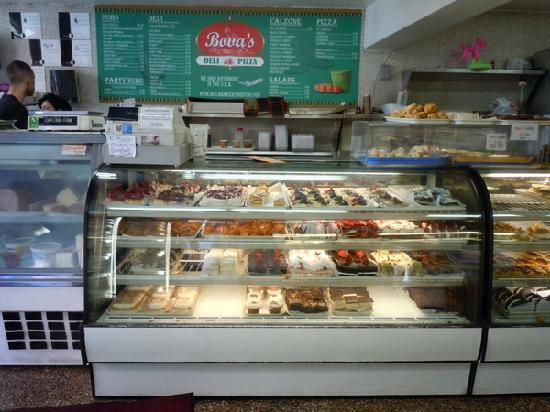 Besides dessert pastries, Bova’s also sells fresh bread, oversized subs, sicilian pizza, and calzones. Stop by for a late night snack or grab a cannoli and espresso on your way to see the Old North Church. The famous Boston chowda is flowing, actually overflowing, at this quaint seafood haven tucked where the North End meets the Rose Kennedy Greenway. 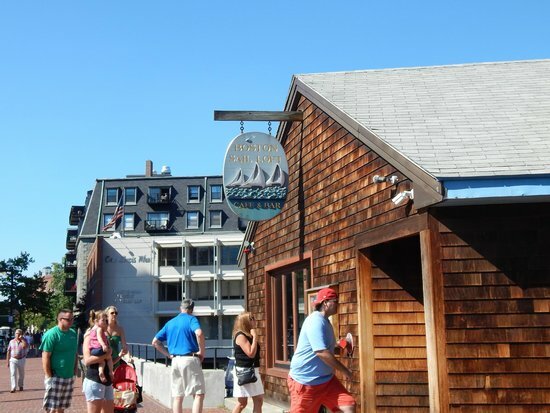 An institution of the city since 1984, Boston Sail Loft has managed to draw crowds regardless of bigger chains like Legal Seafoods opening locations in the area. Entrees fall between $10 and $20 and include other seafood favorites like a market lobster roll, broiled sea scallops, and classic Boston fish and chips. If you’re not too keen on seafood, the Loft also offers a variety of sandwiches, burgers, and salads. The local charm coupled with views of the Commercial Wharf make this cozy nook a must for those looking for the true New England experience. The Museum of Fine Arts has lots of different kinds of art, but one type you won’t see hanging on its walls is zeitgeist-rendered street art. 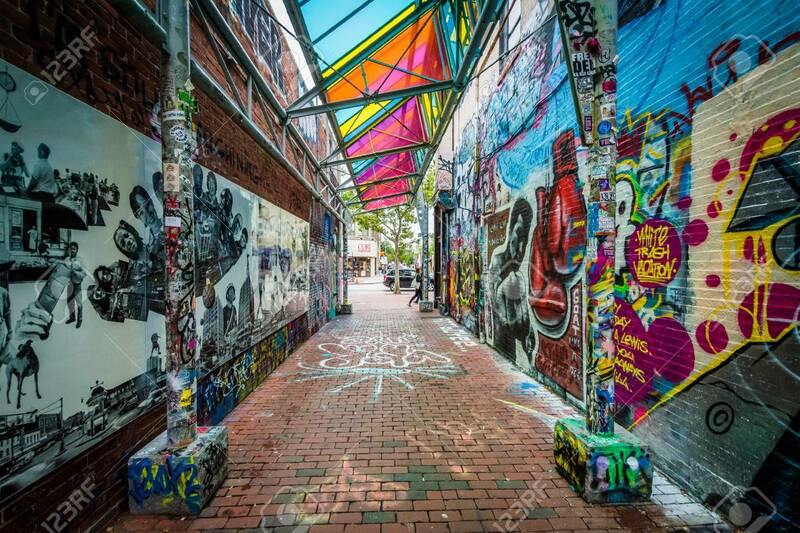 However, a trip to Cambridge’s Richard B. Modica Way — also known as “Graffiti Alley” — will fix that stat. The 80-foot stretch of ever-changing graffiti was started by friends Geoff Hargadon and Gary Strack in 2006 when they became interested in the street art scene, and lack thereof, in the greater Boston area. Someone eventually put up a fake street sign officially labeling the strip “Graffiti Alley” and even the City of Cambridge began to embrace it. The alley is mostly self-policed, meaning artists are free to paint alongside, under, and over each other. Odds are, the alley will look different every time you see it. Every great city has an abundance of green spaces and Boston is no exception. The Boston Public Garden is breathtaking in every season and a trip to the Arnold Arboretum or Fenway Victory Gardens shouldn’t be overlooked either, but, across the river, beauty can also be found in surprising places. In the center of Kendall Square, Cambridge, a hair away from M.I.T.’s campus, there’s a parking garage with a secret. Take the elevator to the roof and you’ll step out into a lush, green and blooming bubble of nature surrounded by stunning concrete views. The best time to stop by is during the summer, when the garden is bustling with activities and events and buzzing with bees and butterflies.